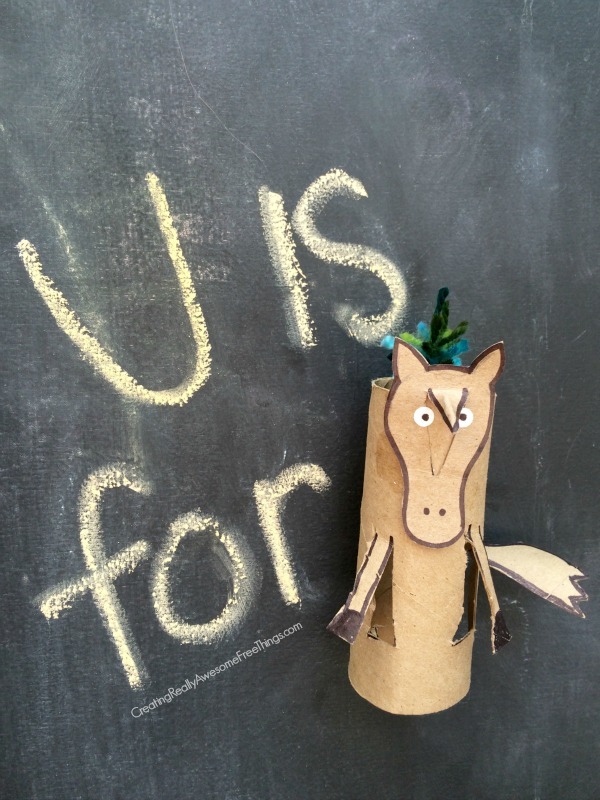 Unicorn: Toilet paper tube crafts - C.R.A.F.T. U is for unicorn! The unicorn and the llama tie for my favorite toilet paper roll crafts to date! I couldn’t help myself, the unicorn had to have a colorful yarn mane. This is probably the trickiest toilet paper tube creature to make since it includes a horn and a mane. But, clearly the cuteness is worth it, ha! Ok, So to make the unicorn head use, you guessed it, the back of an empty cereal box and doodle on a circle with an oval attached as the snout. Then, add 2 triangles to the top of the horses head. Cut out this shape. Now, to make the horn cut a triangle out of the top of the head and add a small peice of cereal box to the back of the head so that you don’t have a hole in your poor unicorns head! Add 2 white hole punches for eyes! Now for the mane… All you really need to do is punch a hole in the back of the toilet paper tube and tie a few pieces of yarn through the hole. 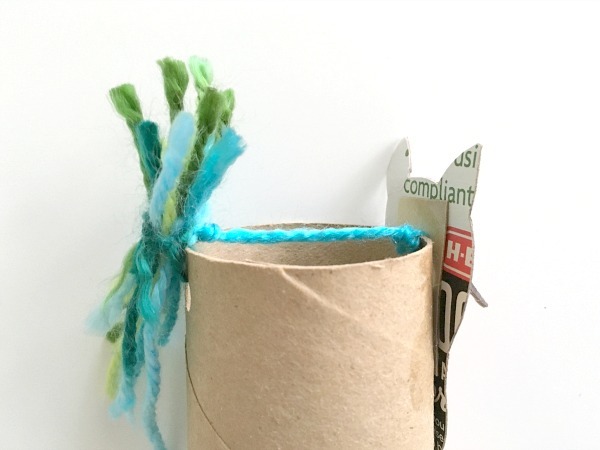 Now, I’m crazy, and wanted to be able to see the mane from the front of the toilet paper tube, for picture purposes, I had to add that extra string you see to the front to hold up the mane! Totally not necessary. I like to make simple things complicated 🙂 Oh and then cut out the front legs and tail, just like all of the other creatures! Marco Polo believed he stumbled across unicorns. He wrote, “They are very ugly brutes to look at. They are not at all such as we describe unicorns.” That’s because they were actually rhinoceroses! There are 7 famous Gothic tapestries that depict the hunt and capture of a unicorn. Next Tuesday I’ll have a letter V toilet paper tube creature to share with y’all! Have you or the kids made any tp tube creatures yet?! I’d love to see! How creative and neat is this to do for the whole alphabet. This would definitely be a great homeschool idea to teach the alphabet to your kids and have them learn it in such a fun way while also incorporating arts. They would be more likely to remember the letters as well. Thanks for the great ideas!